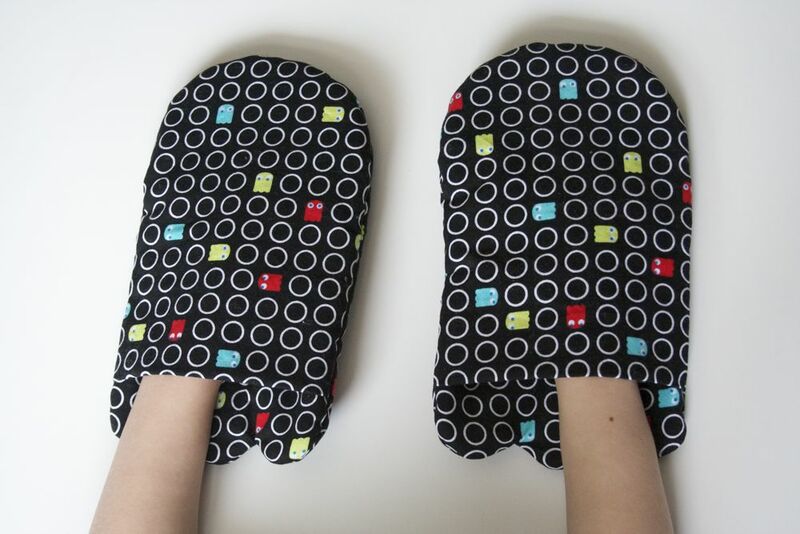 Sew Can Do: Toasty Ghosty Oven Mitts! With chillier weather on the horizon, more piping hot food is definitely in order around our house. 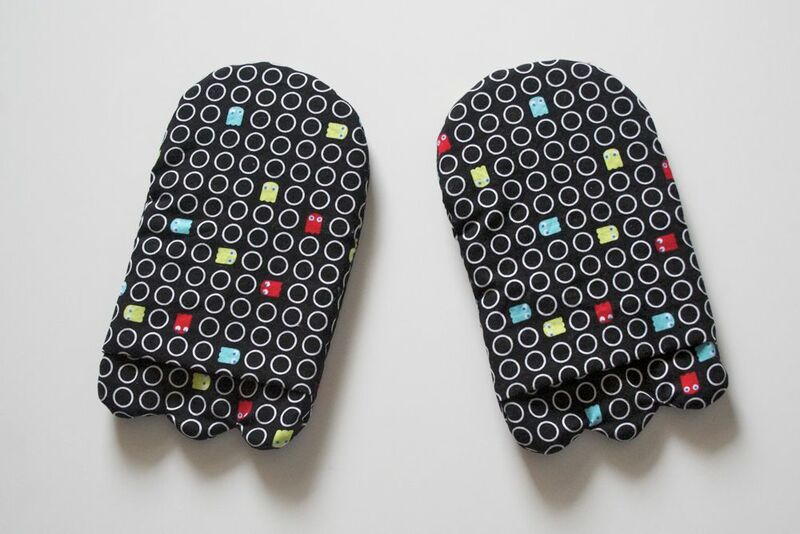 Being a slightly geeky household we can't have the usual boring oven mitts, so I made these Toasty Ghosty Oven Mitts. The design was pretty simple. 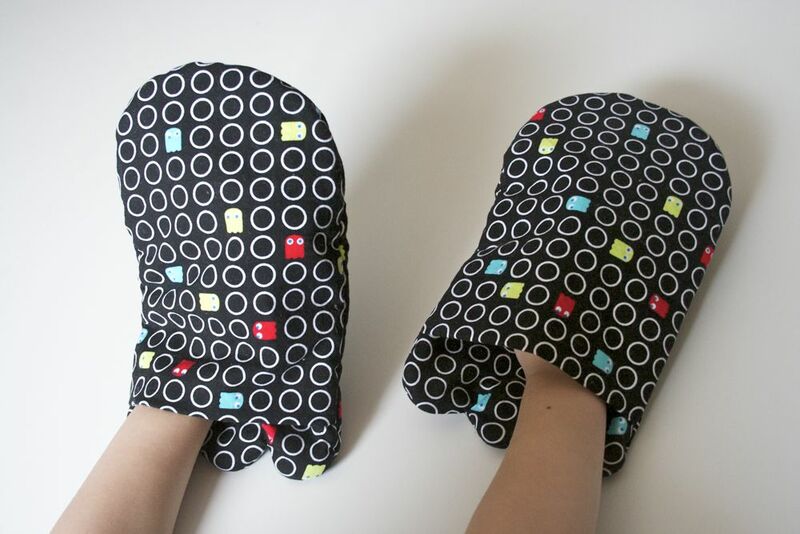 I was inspired by the awesome Pac-Man-esque print fabric (Smirk Ghost Geo by Kyla May from Timeless Treasures). 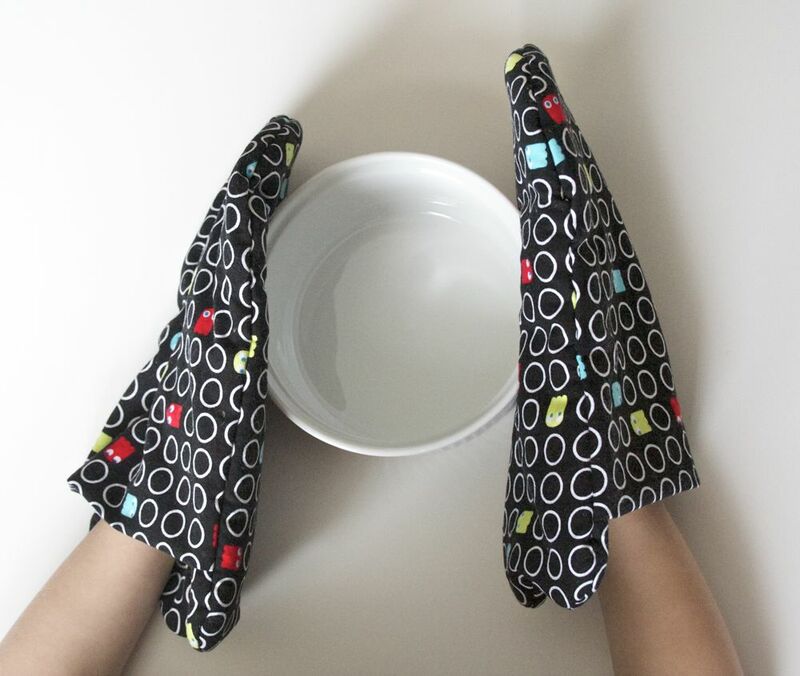 I made the overall shape of the mitts echo the shape of the ghosts with the curved top and wavy end & cut 4 pieces. I also cut the same number of pieces from both cotton batting and Insul-Fleece. Then I cut two other folded pieces for the pocket section that were a few inches shorter with the folded part facing the wavy end. I sandwiched the layers with the right sides facing and the Insul-Fleece and cotton layers on top and sewed them all together, leaving a two inch gap for turning. I trimmed the seam allowances & clipped around the curves and turned them right side out. Then I ladder stitched the openings closed. Now these cool looking mitts are ready to help handle some oven heat with old school gamer-style! Those look awesome. Love this. This is so adorable! I think the fabric is perfect! Thanks for sharing!